In the furthest Southeastern part of the Saitama prefecture lies the small commuter town of Misato City. 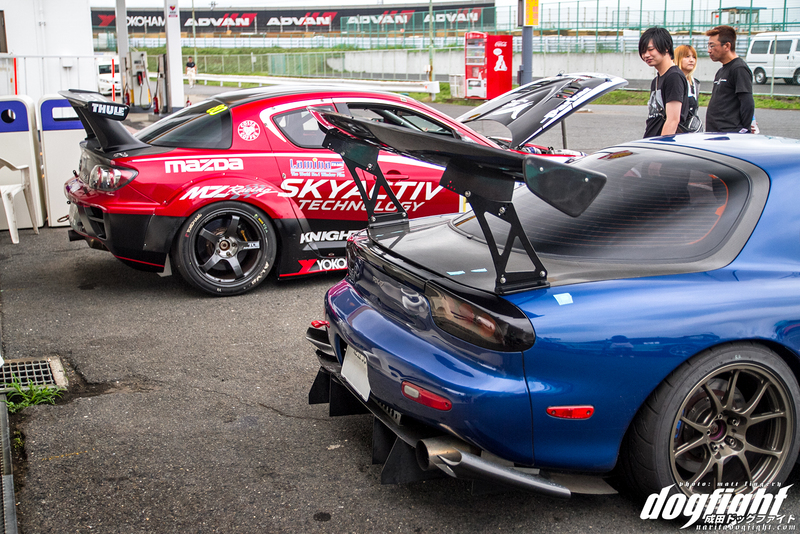 The suburb that serves as home to many employees of Tokyo, also serves as the headquarters for CCE; a fairly new, by some standards, tuning shop that offers a one-stop option for a variety of cars. 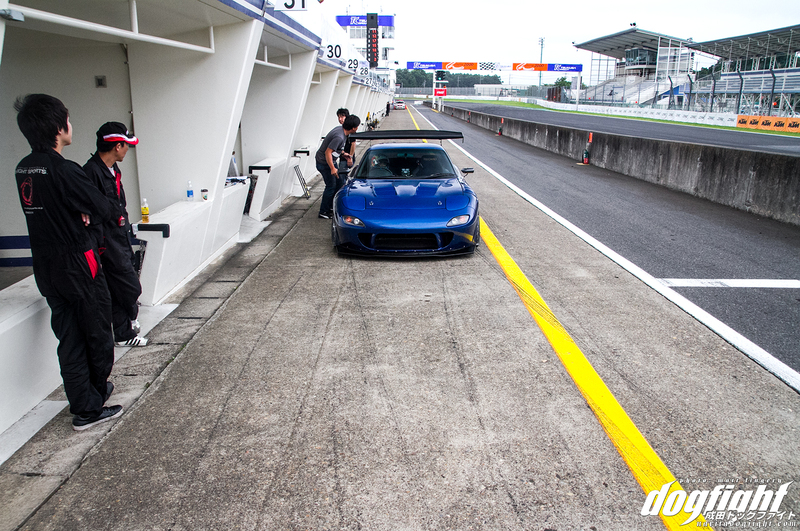 The president, Yoshihiro Nakamura, chose this FD3S to serve as the companies flagship build. 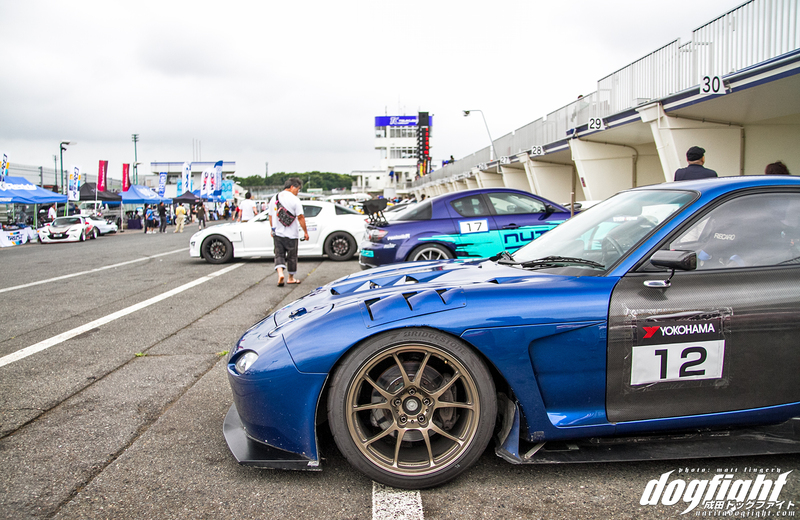 It’s gone through minor changes each year for the past several years, but I think that it’s current state is one that strikes a good balance between street and track; a goal that many enthusiasts in Japan strive for. 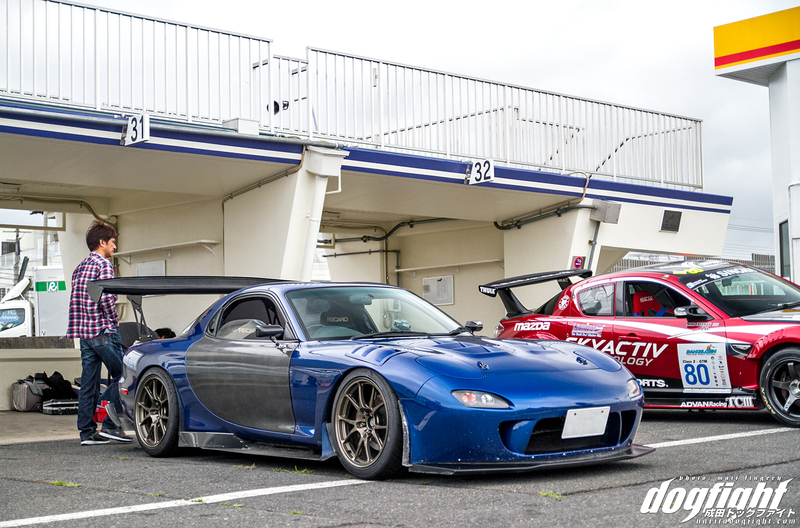 CCE brought the demo car out to Tsukuba for the annual Mazda Fest – an automotive festival celebrating the heritage of the long standing manufacture, highlighting the ever-popular Mazda RX7. Purposefully held on the 7th of July (a little ahead of schedule this year), ‘Sevens Day’ is the ideal date to praise the RX7 chassis. 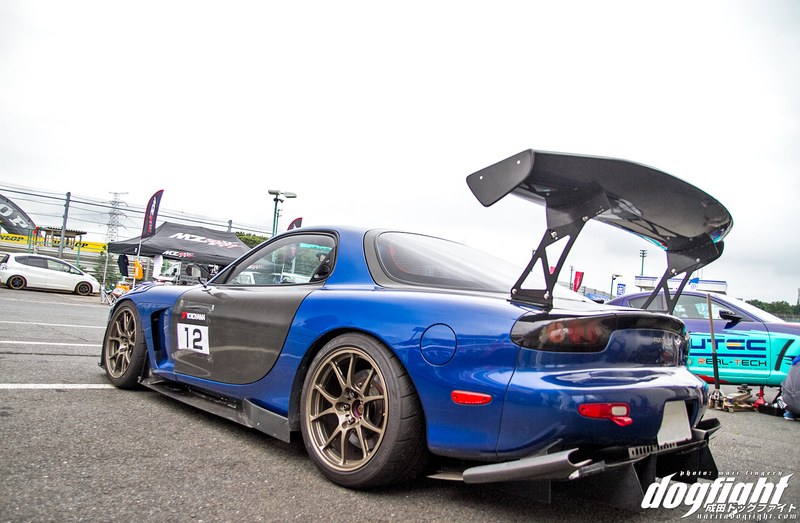 The CCE FD3S was built in part to showcase CCE’s ‘Pleasure’ line of aero parts; a product line that aims to be the end-all balance for street and circuit. 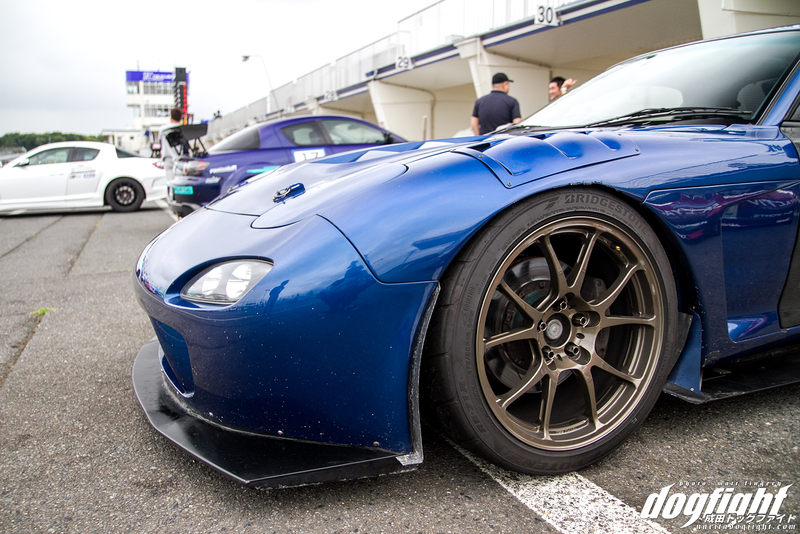 Marketed to those who enjoy driving a spirited car, that is occasionally used on track, the ‘Pleasure’ aero parts accentuate a style akin to that of a factory car while still providing aerodynamic assistance on track. Without the extremely aggressive styling of a dedicated track car, the practically of having a daily commuter remains intact. 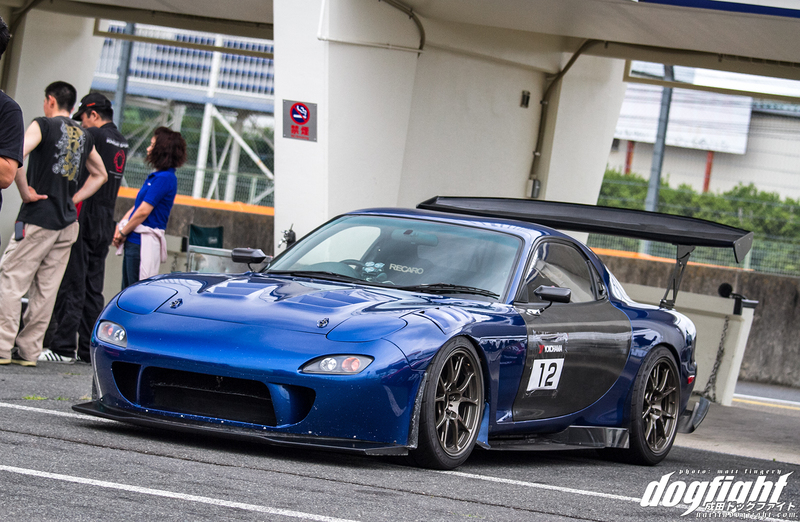 Nakamura has gone one step further this year, and added louvres to the front fenders, and a Kagotani rear diffuser. 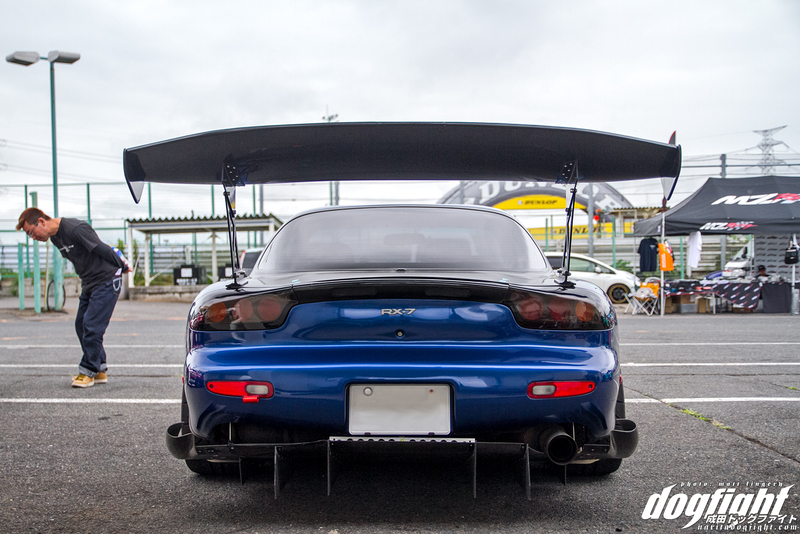 The GT wing on back is put on only at the circuit, and for most days the Pleasure rear wing sits atop the carbon hatch. 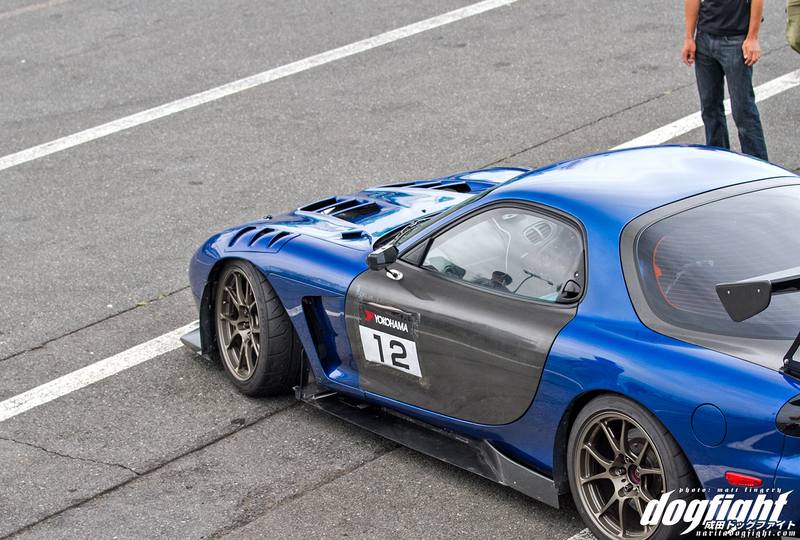 Carbon doors shave a good 100kg of weight from the RX7, providing an additional advantage on track. The car has come a long way in it’s development. 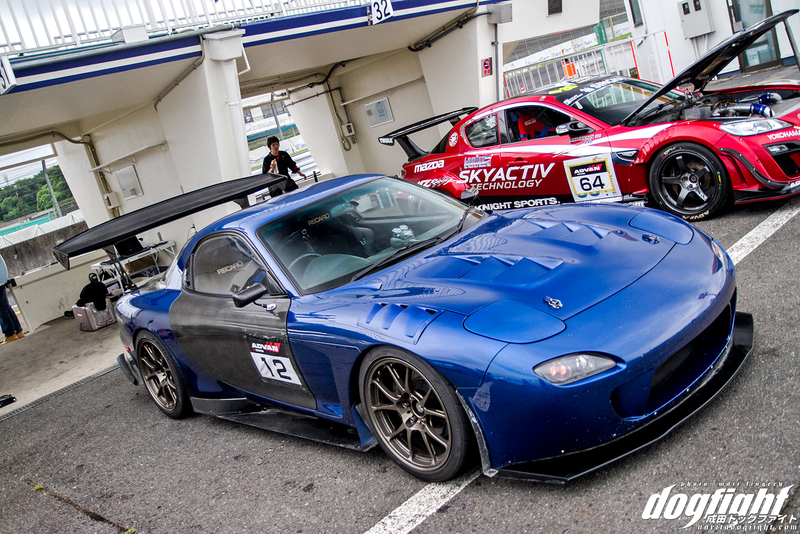 Back in 2011, the best the FD could manage was a 1’05 around TC2000 on street tires. 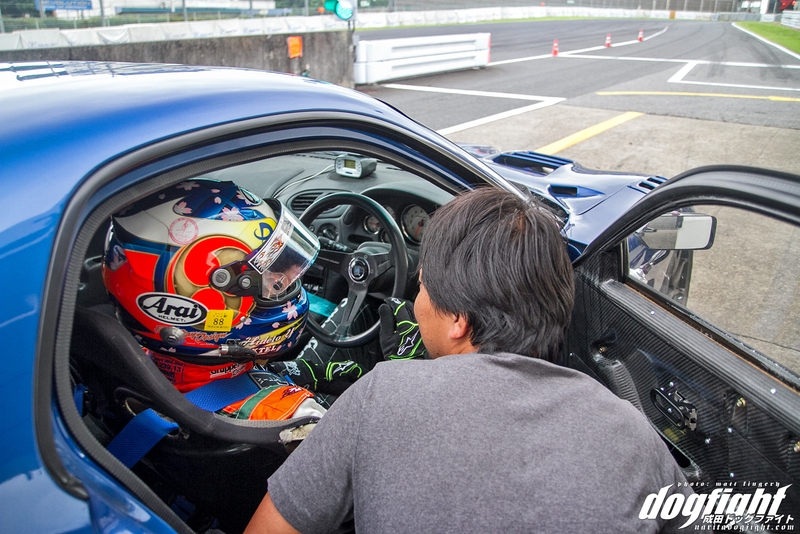 5 years later, and Yasuoka Hideto, the hired driver, was able to lap the circuit in nearly one minute flat; coming across the line at 1’00.019. I suppose now would be a good time to mention that the 13B that resides underneath the RE bonnet is completely stock, with the exception of an increase in boost. No trouble passing ‘shaken’ with this car. 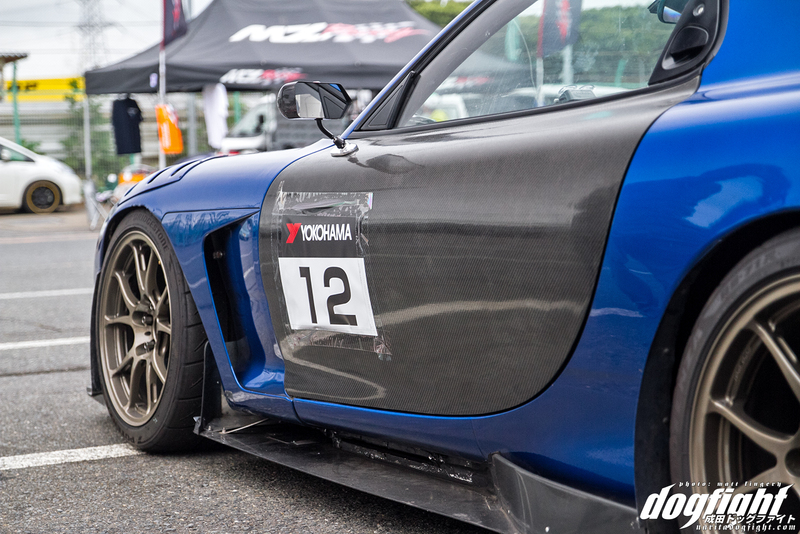 Custom side skirts assist in both styling and aerodynamics on and off track. Craft Square mirrors, a staple in styling, adorn each of the carbon doors. Bridgestone RE-71R’s are wrapped around a set of 18″ forged TWS T66F wheels. A unique wheel choice that matches the car well. Hideto headed back out after a few test laps. 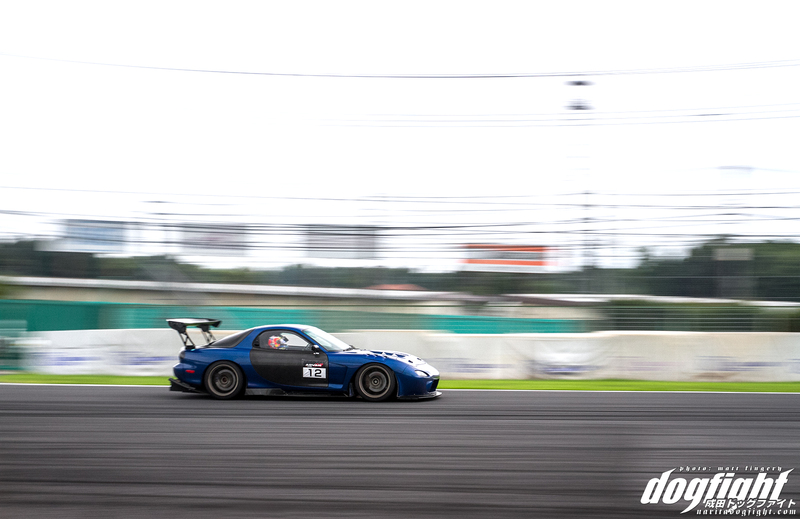 The CCE team was able to make many laps during the open run sessions, making full use of their time to test the cars different settings. 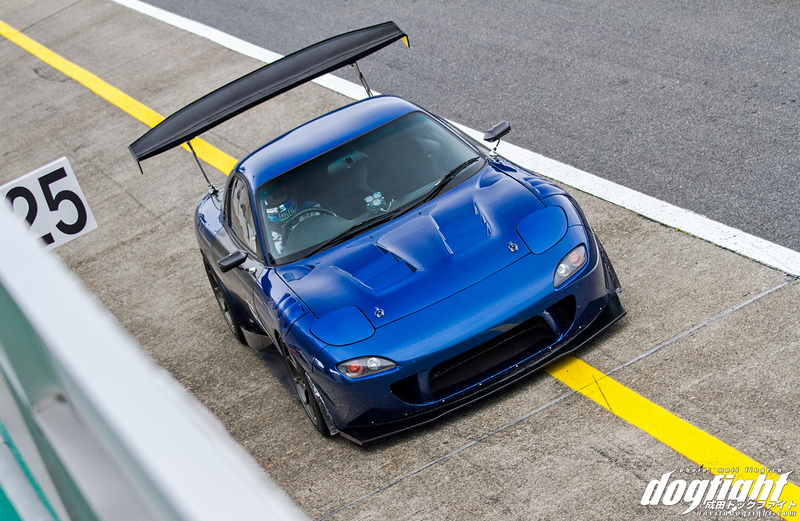 Out on track you can get an idea of what Nakamura was going for with the styling of his aero parts lineup. Tire pressure check and adjustment. It’s always neat to watch the evolution of cars throughout the years, especially when the owners are aiming to create a balance between track and daily life. It’s a very common thing in grassroots motor sport, throughout the world actually, to drive your car to the track and drive it home. To see someone work to make the best of it is really inspiring. Awesome write up Sean. 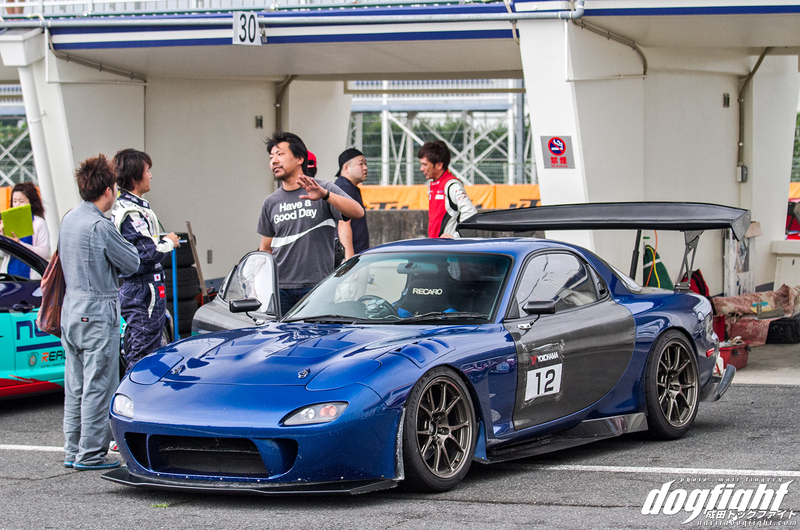 It’s crazy how rare FD’s are here in the states compared to Japan. 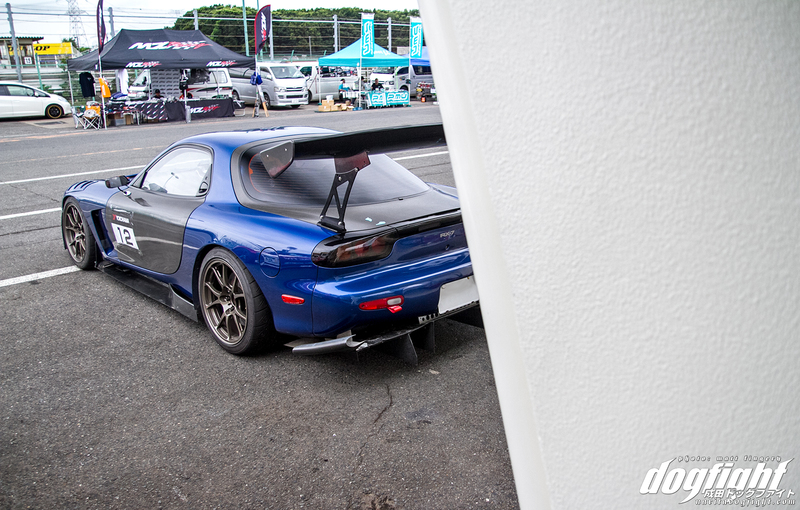 They were produced in Japan for much longer than they were in the States. You’re saying 100kgs saved for just the carbon doors? That’s 212 lbs! I sincerely doubt that figure since a single door weighs about 50-60kgs. You can pick them up and move them yourself. Maybe he was including the hatch in that 100kgs?